As a premier Wisconsin Acura dealer, we have a huge selection of new and used vehicles from which to choose. Acura of Brookfield online and offline customers enjoy special vehicle offers every day. 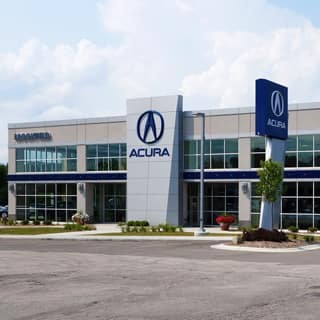 We offer Acura service & parts, an online inventory, and outstanding financing options, making Acura of Brookfield the preferred dealer for Brookfield, Milwaukee, Waukesha, West Allis, Mequon, Cedarburg, Grafton, Glendale, Shorewood, Oconomowoc, Franklin, Menomonee Falls, Delafield, Hartland and Pewaukee Acura buyers. Ready to set up a test drive? Visit our Milwaukee Acura dealership in Brookfield, WI today.